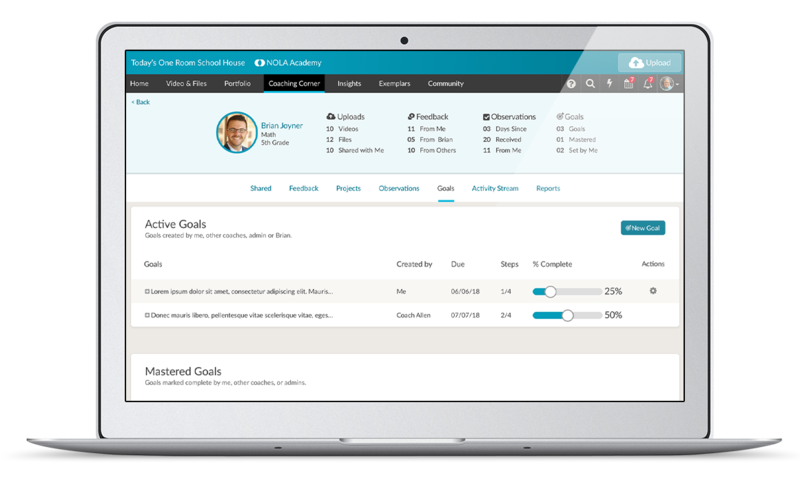 TORSH Talent is an easy to use classroom observation and data management platform that gives school leaders and educators an opportunity to Observe, Measure, Coach, Reflect and Collaborate. Reflect on practice individually or with peers. Build examples of best practices. Provide instant feedback via time-synced comments. Perform in-person classroom observations. Capture important evidence using a running record. Use your own custom rubrics and coaching logs. Help guide teachers toward success by setting and tracking goals. Set action steps to help teachers achieve greater student outcomes. Monitor the performance of groups and individual teachers. Show teachers progress against goals over time. Learn about activities and usage metrics. Sometimes coaches can’t be on campus. Perform observations using videos from anywhere and at anytime. It’s a flexible solution. Collaborate more efficiently in a branded, secure, cloud-based community. Use the TORSH Talent app on any iOS or Android device to facilitate “one-click” video capture and upload instantly from anywhere. Facilitate evidence-based feedback and reflection by adding time-synced text and audio notes to videos and documents. TORSH Talent’s automatic speech-to-text tagging and transcription saves users time by allowing them to search and retrieve specific segments from long-form video content. 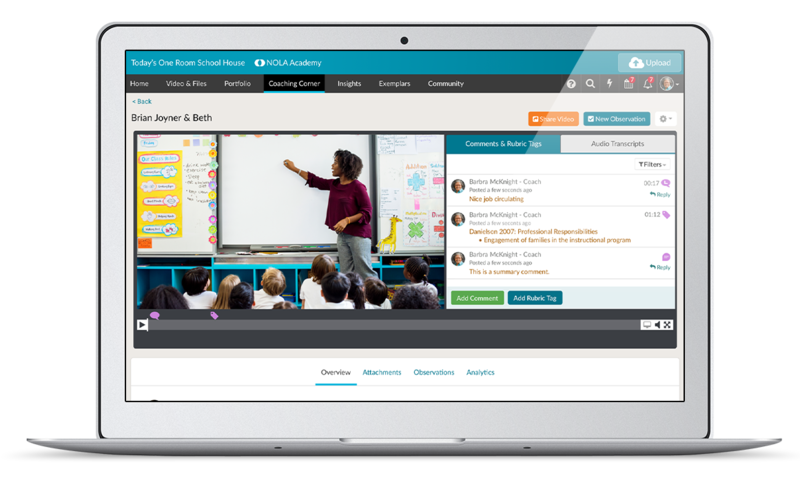 Audio and text generated from uploaded videos are used to analyze and identify a variety of interactions and behaviors that occur during a video session in order to provide greater insight into classroom instruction. 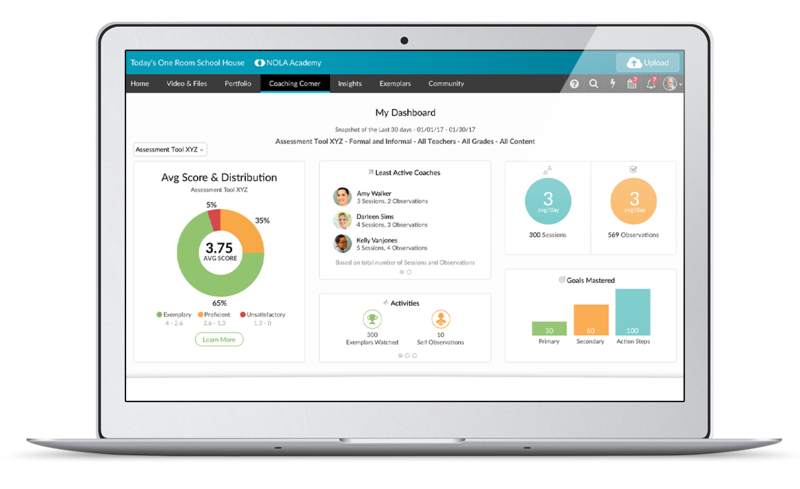 TORSH Talent’s Insights Reporting Suite allows users to assess, diagnose, and track educator progress and evaluate coaching quality. Create, edit, and share curated “best practice” files and artifacts in a private online library. 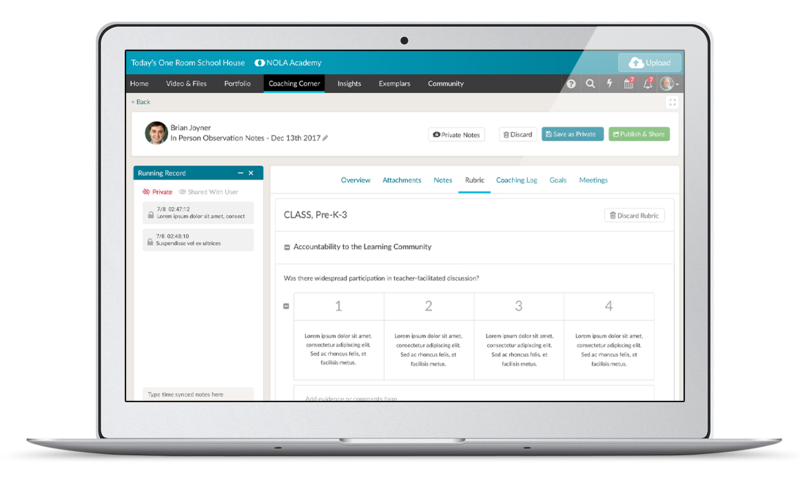 Provide evidence-based feedback against any rubric or framework of your choice; Analyze the data associated with this feedback via our data analytics and insights tools. 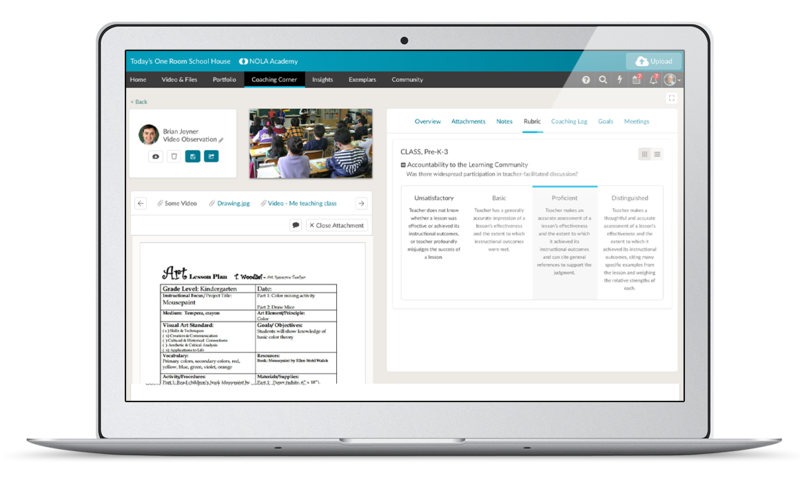 Facilitate remote coaching, promote collaboration, and conduct live classroom observations.